Looking for a fun, visual summer bucket list for your family? You’ll love this ice cream scoop themed printable. 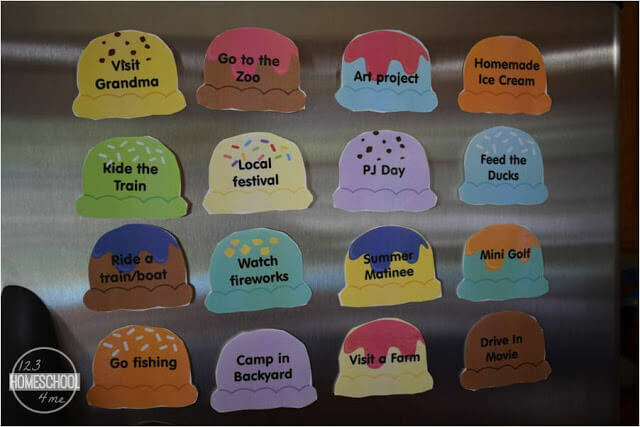 This Scoop’n Up Summer Fun Summer Bucket List makes the cutest way for kids to keep track of lots of fum summer activities! Summer Bucket Lists are a great way to make sure you are making the most of summers with your kids! 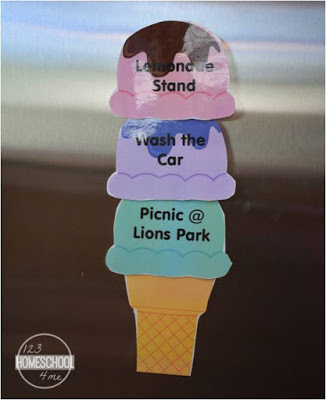 Personally, my family likes visual lists that helps us to remember what activities are yet to come and all the fun things we have done – so last year we used this Scoopin Up Summer Fun idea. Included are 36 pre-made summer fun ideas for kids plus blank ice cream scoops. 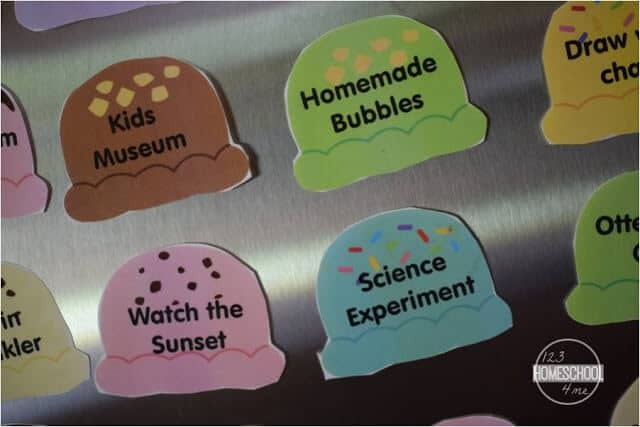 I suggest laminating to make them durable as they will be hanging in the kitchen and little hands tend to want to touch these! As we did an activity we put it on the cone. There is both the plain cone like we used, and monthly cones so you can see what you did in June, July, and August.